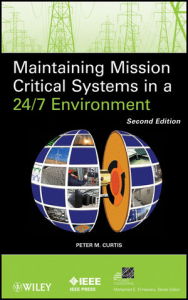 Operating mission critical facilities involves more than just monitoring building functions and equipment rooms on a BMS or DCIM platform. It is also important for engineering staff to be in front of equipment on a regular basis. Placing knowledgeable personnel in front of equipment will allow them to detect anomalies that may be missed by automated sensors and meters. SmartWALK simplifies these day to day operational tasks by providing a user friendly platform for collecting benchmark data. 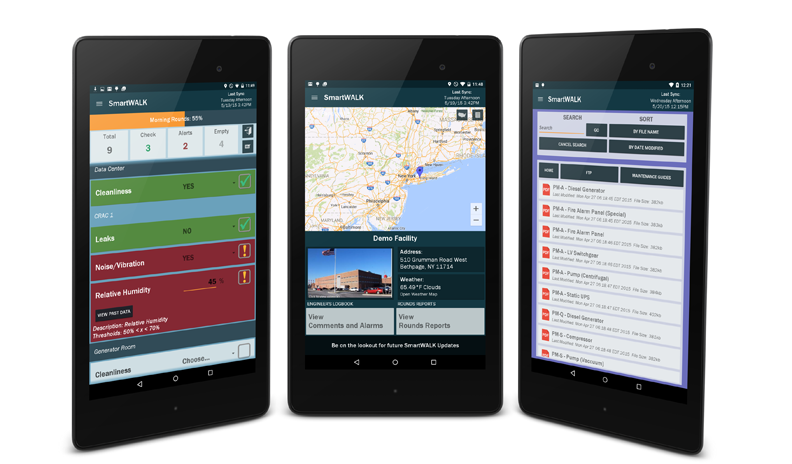 Access to this detailed information about your facility’s complex power distribution can prove to be an invaluable asset. SmartWALK improves reliability and resiliency by standardizing practices that mitigate failures and expedite recovery. The user is guided through the rounds, via a simple user interface. Numerical data is compared to preset thresholds as it is input, and SmartWALK will immediately alert the user of a problem if it exceeds the threshold. Upon completion of the rounds, out of tolerance fields are compiled into a Rounds Report and emailed to all registered SmartWALK users. Integer: Numeric field which supports whole numbers only. Can set units, nominal value, and upper and lower tolerance. Decimal: Numeric field which supports decimal points. Can set units, nominal value, and upper and lower tolerance. None: Acceptable option. No feedback is provided to the user. Standard: Acceptable option. A feedback message is provided to the user. Alert: Unacceptable option. A feedback message is provided to the user. Alarm: Unacceptable option. A feedback message is provided to the user and the user is also forced to write a comment with additional information about the response. 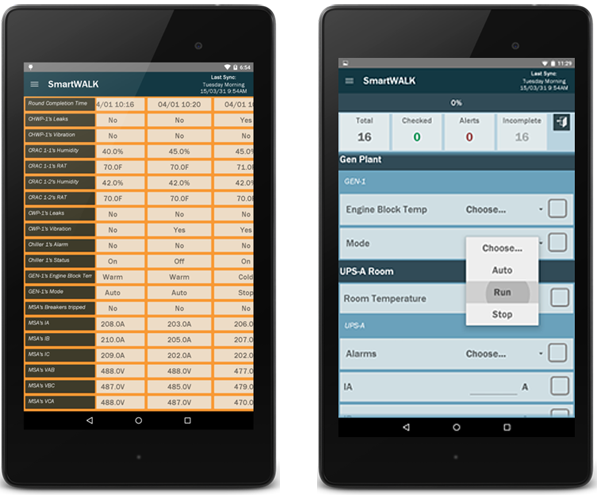 SmartWALK provides the user with immediate access to important facility documentation including drawings, operating procedures, equipment manuals, etc. Documents are cached to the device for “Always On” access, even in the event that communication with the SmartWALK server is severed.